When you’re just getting started with your business, you might not have a lot of information for a full-featured, multi-page business website. If that’s the case, a one page WordPress theme is exactly what you need. A one-page website will make it easy to share important information about your business and even provide your visitors with a better experience as they won’t have to click through multiple pages. You don’t have to spend hours searching for the perfect one-page WordPress theme, though. We’ve done the research for you and compiled the best free one-page themes for WordPress in this post. 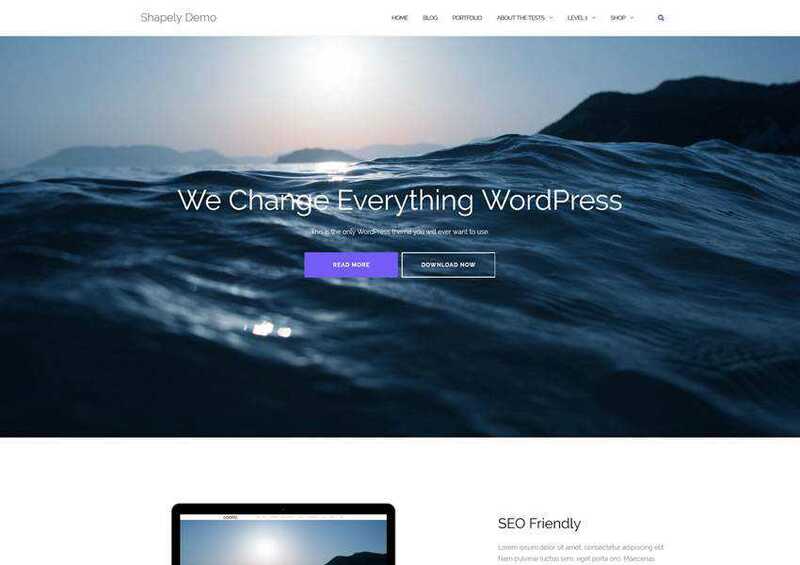 The Shapely theme is a versatile WordPress theme that’s suitable for a variety niches. 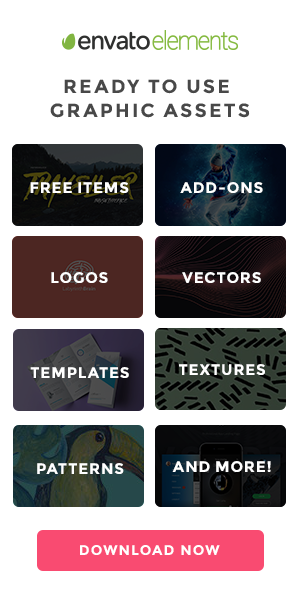 The theme has plenty of sections to showcase your skills, portfolio, testimonials, and more. 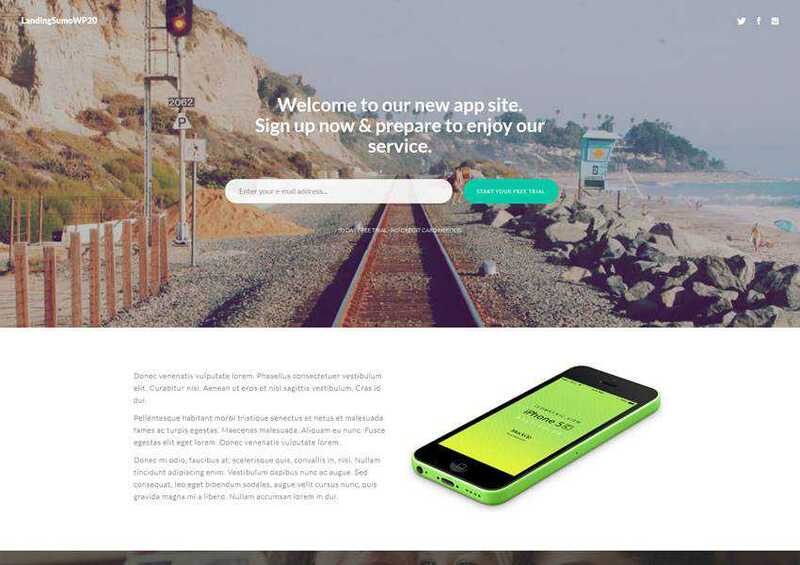 You can also add parallax sections which are perfect to add a call to action. The Griddr is a perfect choice if you want to stand out from the competition. 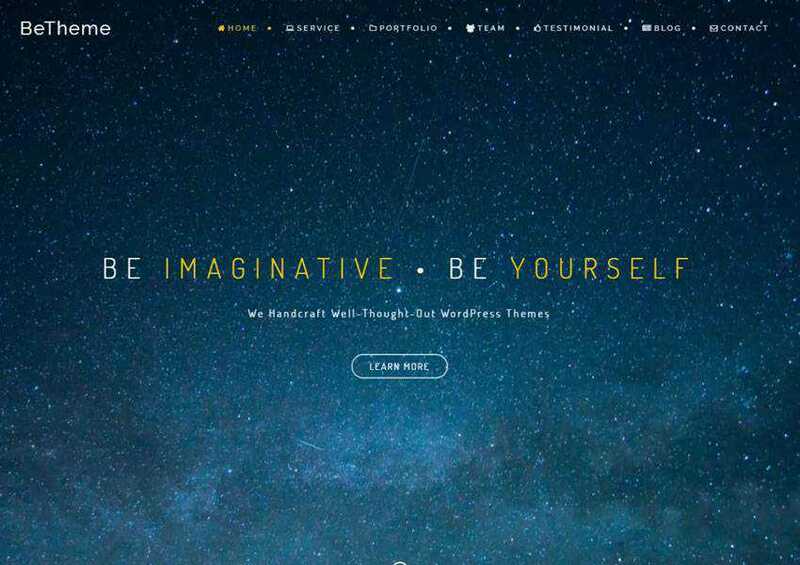 The theme has stunning animations and a responsive, grid-based design. 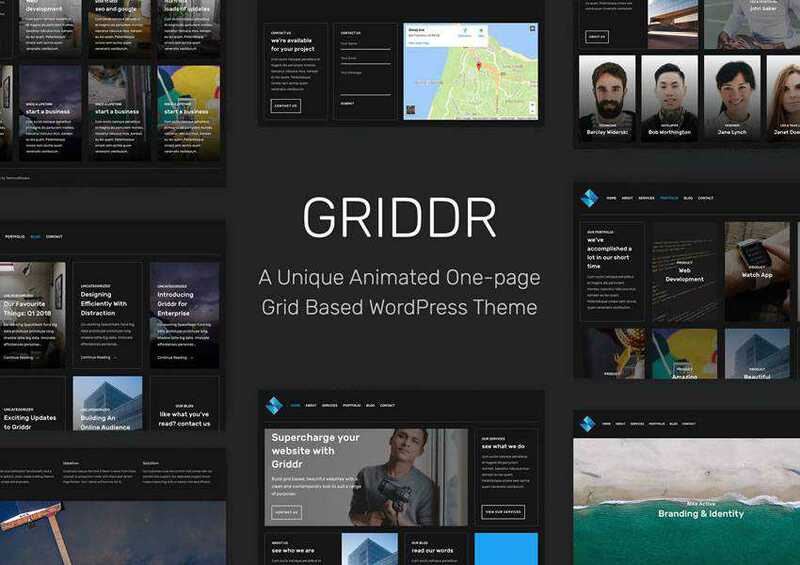 Griddr comes complete with portfolio, team, and various blog layouts. 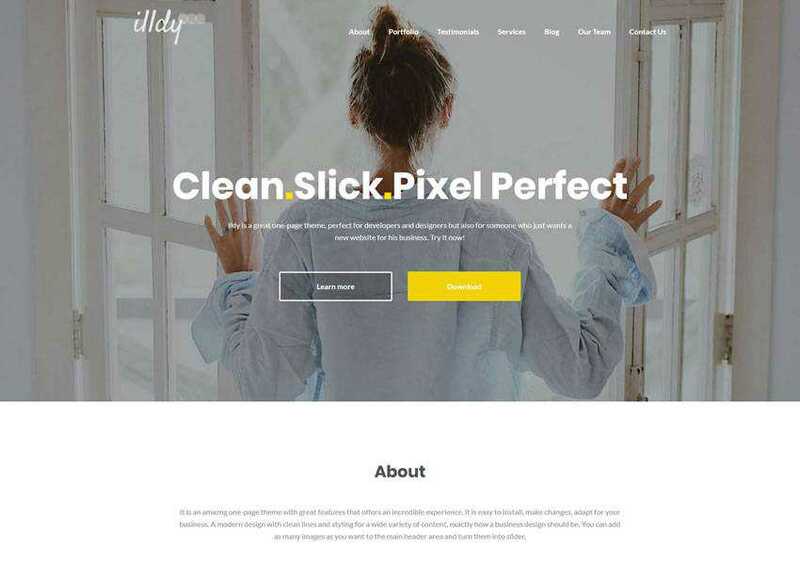 The Illdy theme is a perfect choice for small businesses and startups looking to get online. The theme has several sections for showcasing company history, sharing past projects and skills, and displaying testimonials. 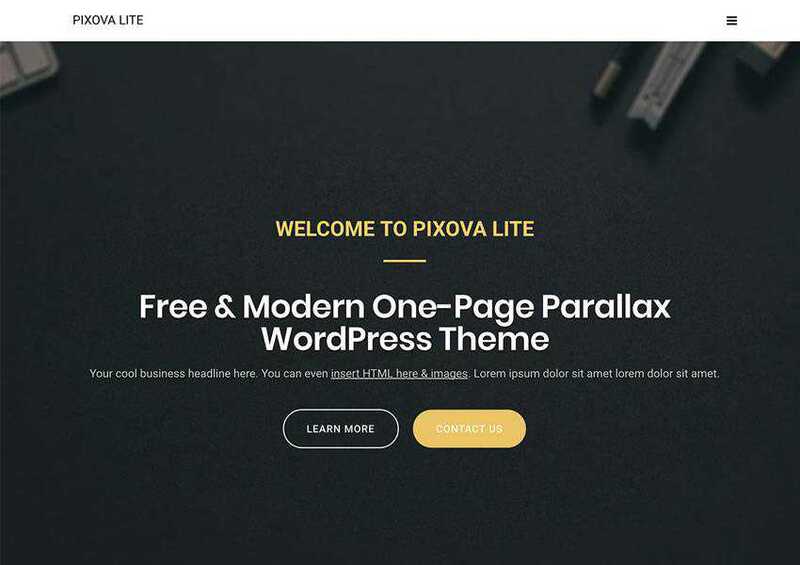 Try the Pixova Lite theme if you want your website to have a stunning parallax effect. The theme is fully responsive and offers a plethora of customization options. The Catch theme is a perfect one-page theme for bloggers and business owners. It comes with features such as header media, featured content, featured slider, several layout options, portfolio, testimonials, and more. 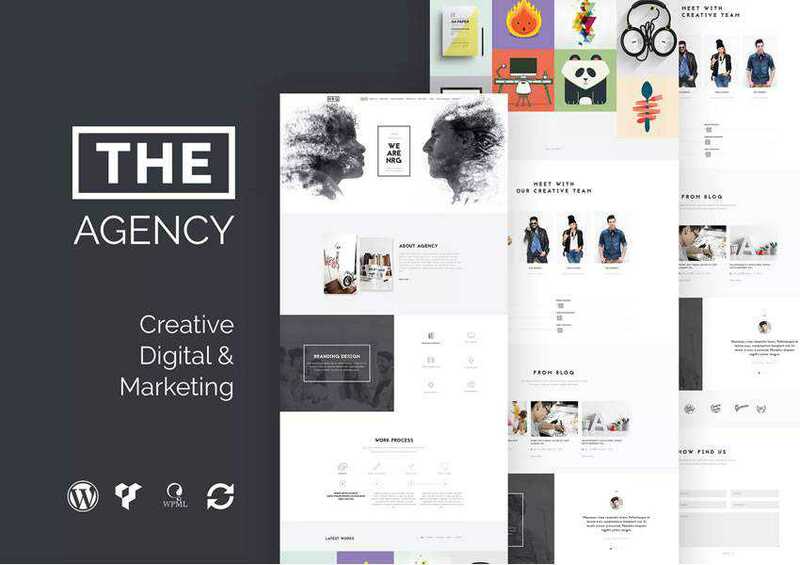 If you’re looking for a perfect one-page theme for your creative agency, look no further than The Agency theme. Not only will you be able to share all the important information about your company but you will also benefit from responsive and customizable design. 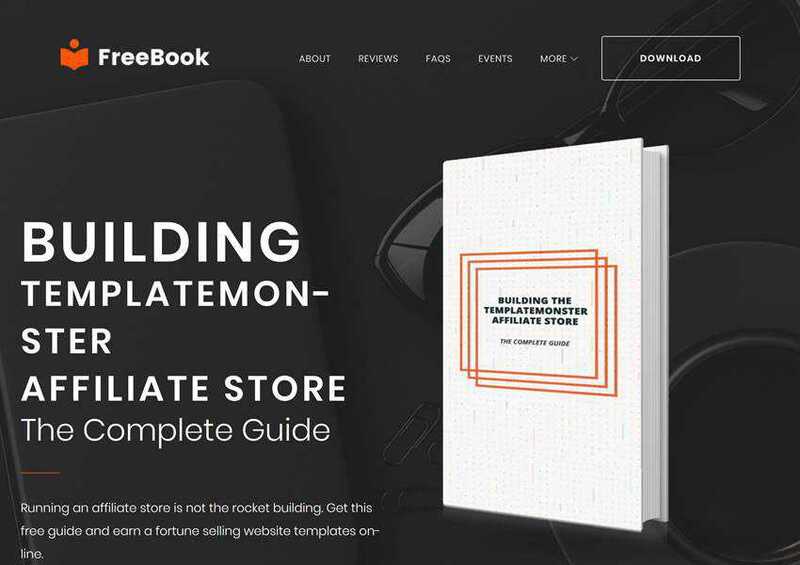 The FreeBook theme is perfect if you need to promote your upcoming book release. Share snippets from the book, reader testimonials, and invite visitors to buy the book or sign up to get it. Consider the LandingSumoWP20 theme if you want a one-page theme that’s easy to customize. The theme comes with an easy to use drag and drop page builder and plenty of customization options. The Fagri theme is a great choice if you’re looking for a one-page WordPress theme with WooCommerce integration. On top of that, the theme is highly customizable, responsive, and optimized for SEO and fast loading times. 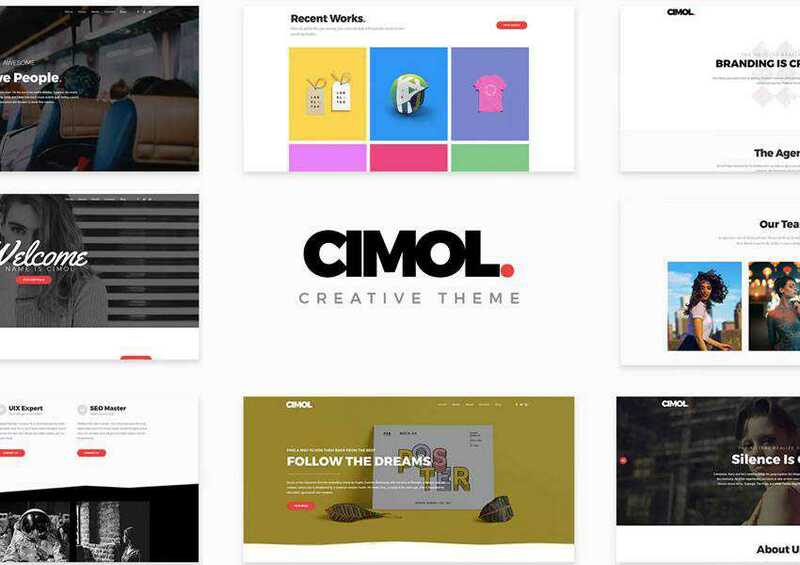 If you need a one-page theme with portfolio options, the Cimol theme is for you. It includes a drag and drop page builder, several premade header and footer layouts, and predefined blog templates. 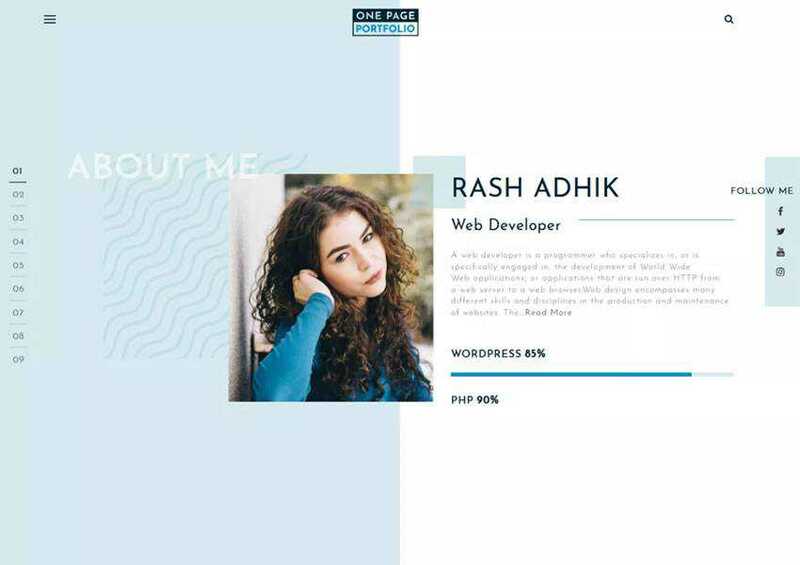 One Page Portfolio is creative multi-purpose WordPress theme.It’s clean and modern and allows you to showcase your past projects and share your knowledge in style. The BeOnePage theme is perfect for designers, artists, photographers, illustrators and any other creative freelancer. You will find sections that allow you to showcase your skills and past projects as well as display testimonials from past clients. 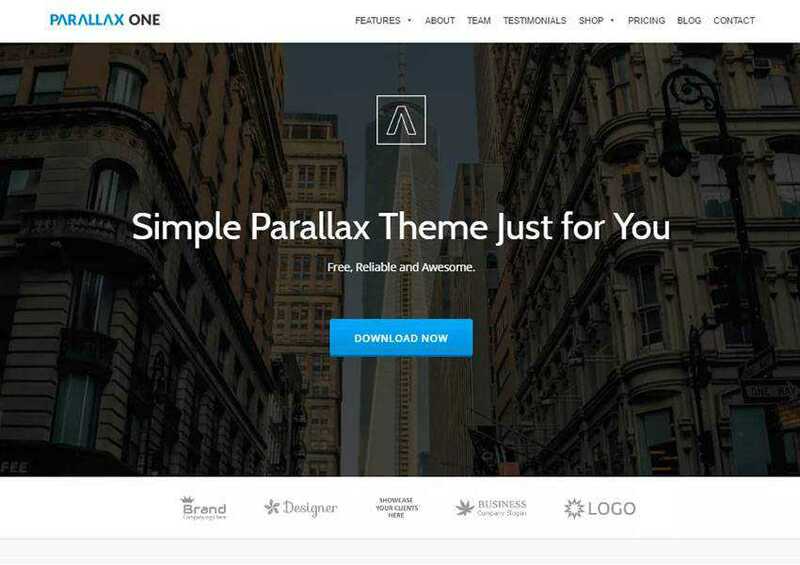 The Parallax One is a perfect choice for a one-page business website. The theme is fully responsive and easy to use, on top of being SEO-friendly and translation-ready. It also includes plenty of customization options to make this theme your own. 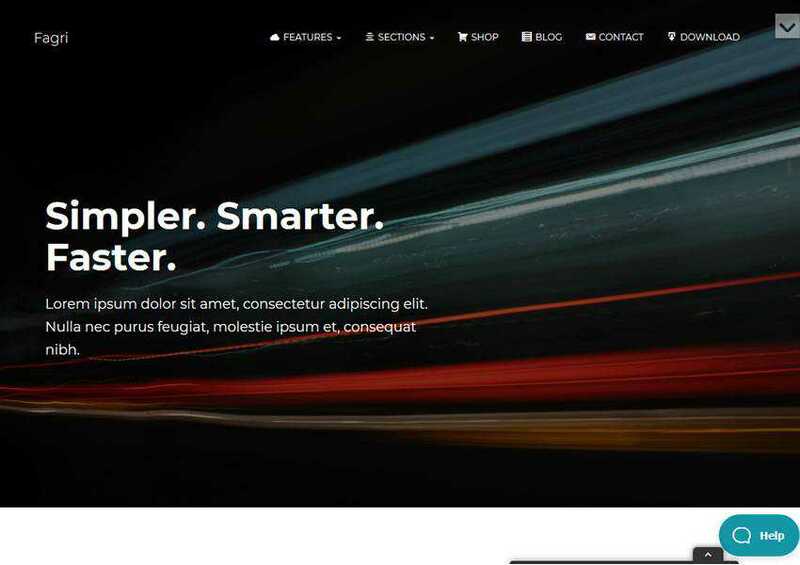 One-page WordPress themes are perfect when you don’t need to share a lot of information about your company and when you want a simple theme that loads fast. 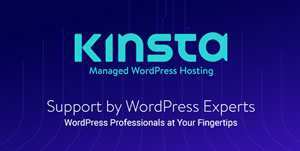 Choose any one-page theme for your WordPress website from this list and get your site up and running in a matter of hours.